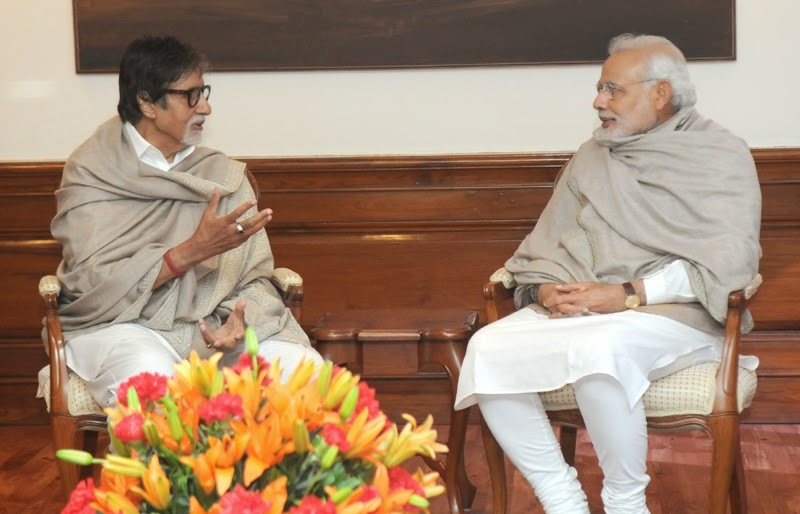 Home / photo / Eminent film actor, Shri Amitabh Bachchan calling on the Prime Minister, Shri Narendra Modi, in New Delhi on December 20, 2014. 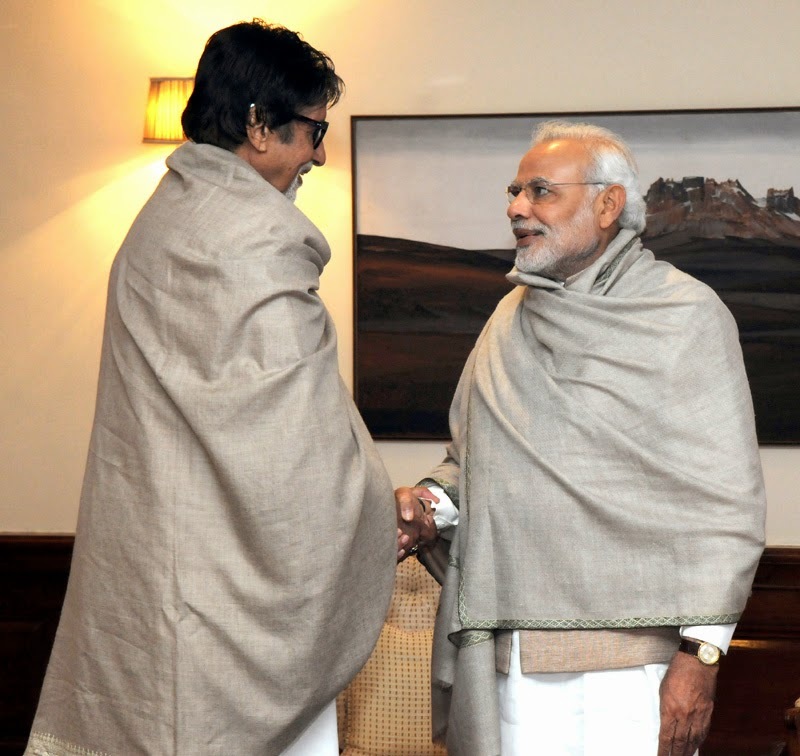 Eminent film actor, Shri Amitabh Bachchan calling on the Prime Minister, Shri Narendra Modi, in New Delhi on December 20, 2014. The Union Home Minister, Shri Rajnath Singh at the Convocation of the King George Medical University, in Lucknow on December 20, 2014. 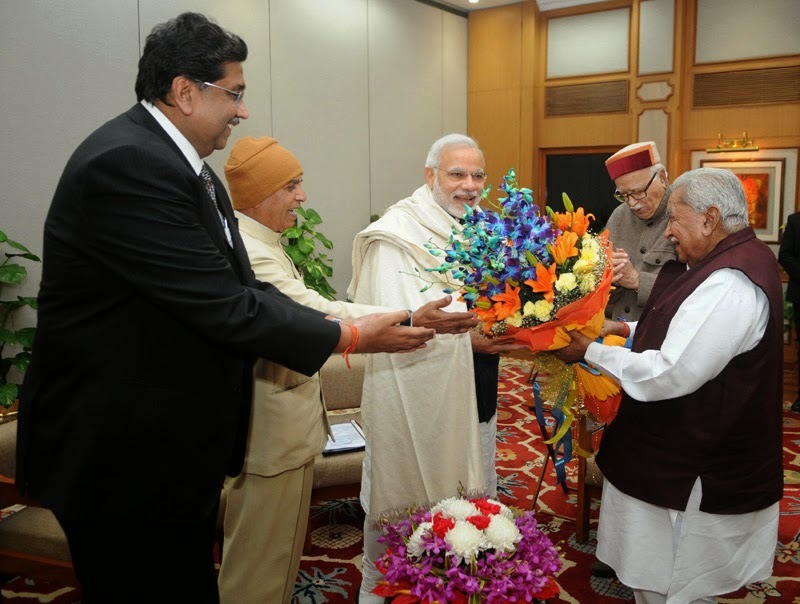 The Governor of Uttar Pradesh, Shri Ram Naik is also seen. 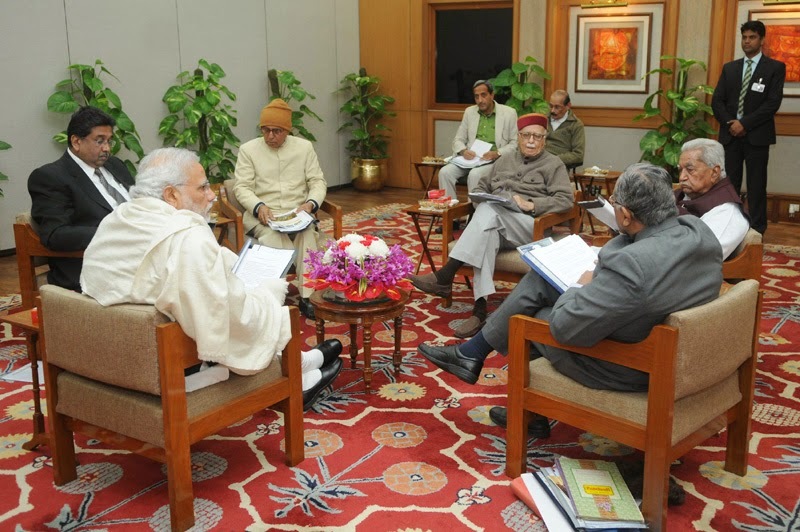 The Prime Minister, Shri Narendra Modi attending meeting of Somnath Trust, in New Delhi on December 20, 2014. 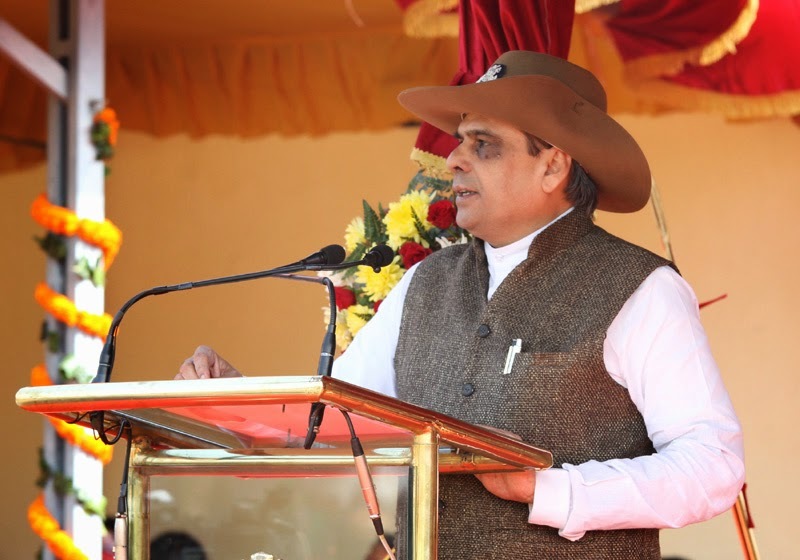 The Minister of State for Home Affairs, Shri Haribhai Parathibhai Chaudhary addressing at the 51st Raising Day Function of Sashastra Seema Bal, in New Delhi on December 20, 2014. 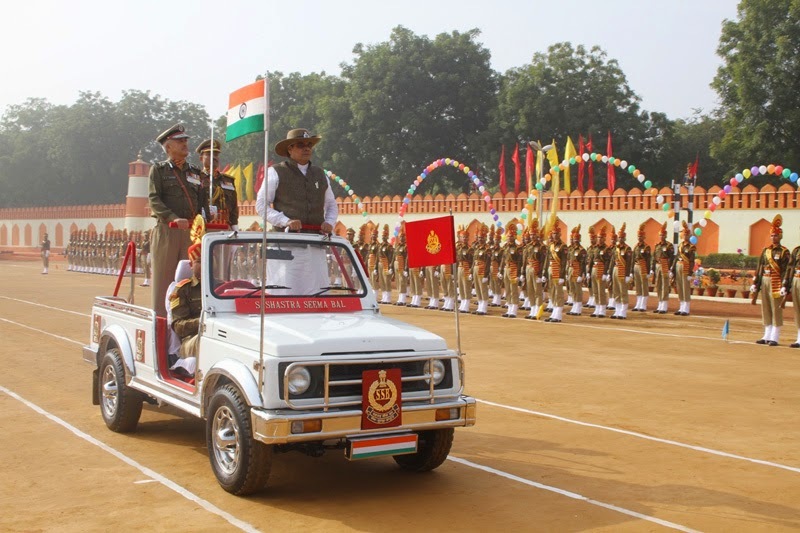 The Minister of State for Home Affairs, Shri Haribhai Parathibhai Chaudhary inspecting the Guard of Honour, at the 51st Raising Day Function of Sashastra Seema Bal, in New Delhi on December 20, 2014. 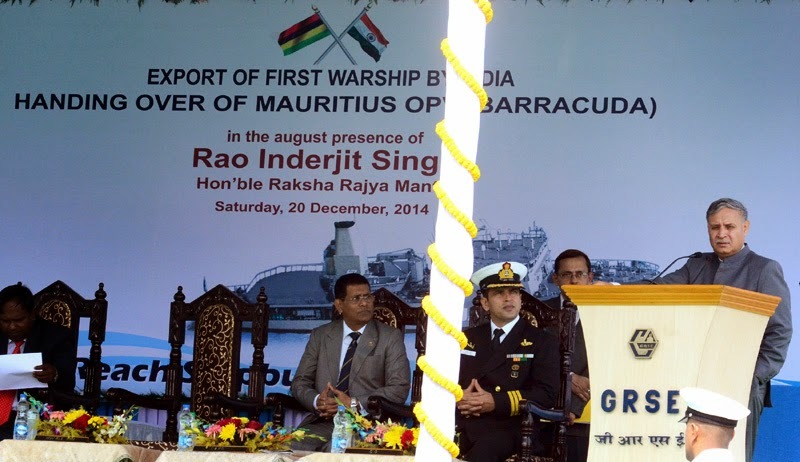 The Minister of State for Planning (Independent Charge) and Defence, Shri Rao Inderjit Singh addressing at the handing over ceremony of the Mauritius Offshore Patrol Vessel (MOPV) “Barracuda” built by the Garden Reach Ship Builders and Engineers Ltd. (GRSE) to the Government of Mauritius, in Kolkata on December 20, 2014. 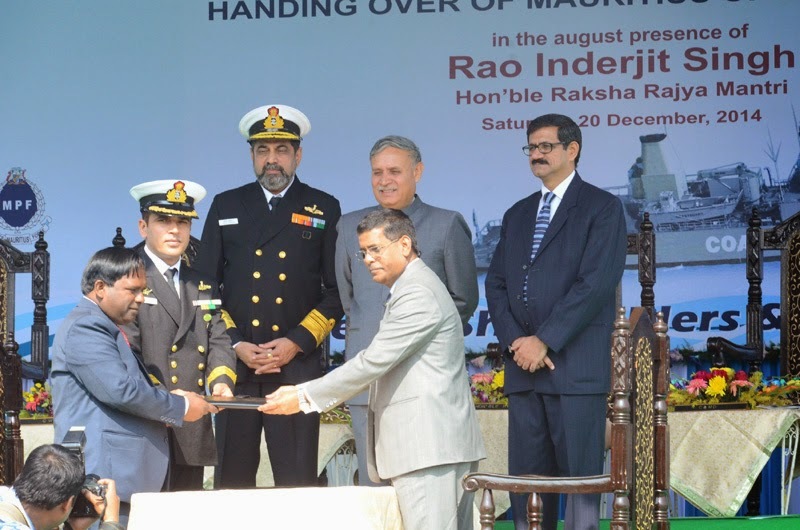 The Minister of State for Planning (Independent Charge) and Defence, Shri Rao Inderjit Singh at the handing over ceremony of the Mauritius Offshore Patrol Vessel (MOPV) “Barracuda” built by the Garden Reach Ship Builders and Engineers Ltd. (GRSE) to the Government of Mauritius, in Kolkata on December 20, 2014. The High Commissioner of Mauritius, Dr. Arya Kumar Jagessur, the Chairman and Managing Director of GRSE Ltd., Rear Admiral A.K. Verma, VSM, IN (Retd. ), Commanding Officer of the Ship Cdr Rajneesh Dalal are also seen. The Union Minister for Women and Child Development, Smt. 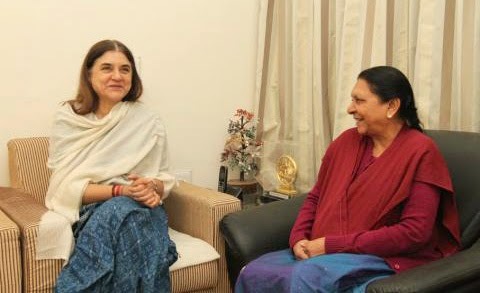 Maneka Sanjay Gandhi meeting the Chief Minister of Gujarat, Smt. Anandiben Patel, in New Delhi on December 20, 2014. 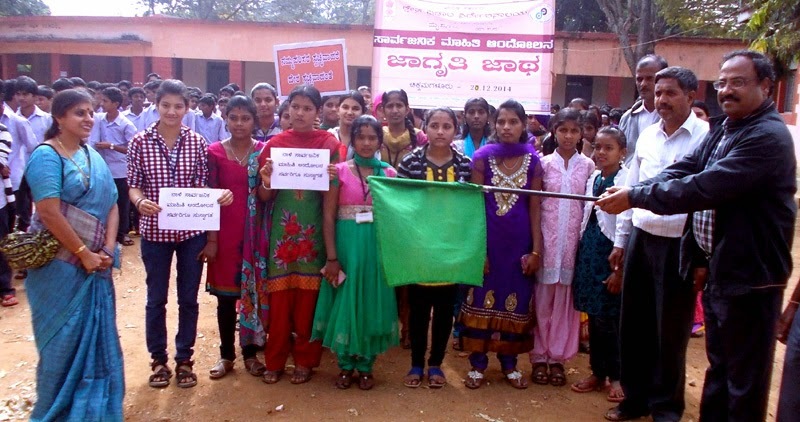 Teachers and students visiting the photo exhibition of the ‘Ek Bharath Shresth Bharath’ during Public Information Campaign, at Chikmagalur district of Karnataka on December 20, 2014. The Director, Directorate of Field Publicity, Shri M. Nagendra Swamy flagging off the rally organised by the Directorate of Field Publicity during Public Information Campaign, at Chikmagalur district of Karnataka on December 20, 2014. 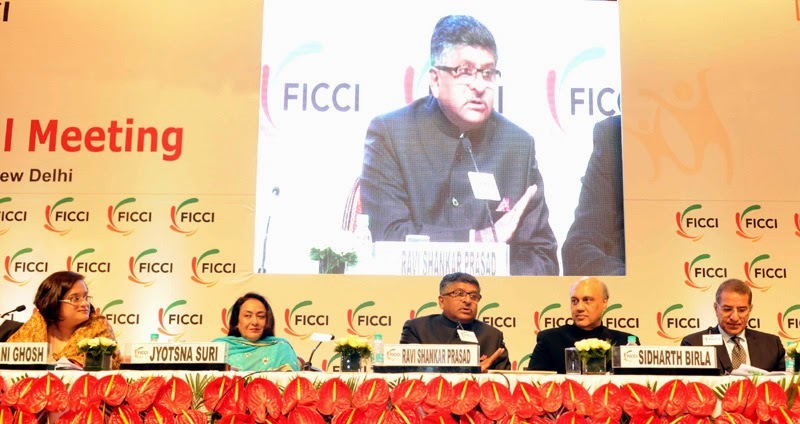 The Union Minister for Communications & Information Technology, Shri Ravi Shankar Prasad addressing at the FICCI’s 87th Annual General Meeting, in New Delhi on December 20, 2014. 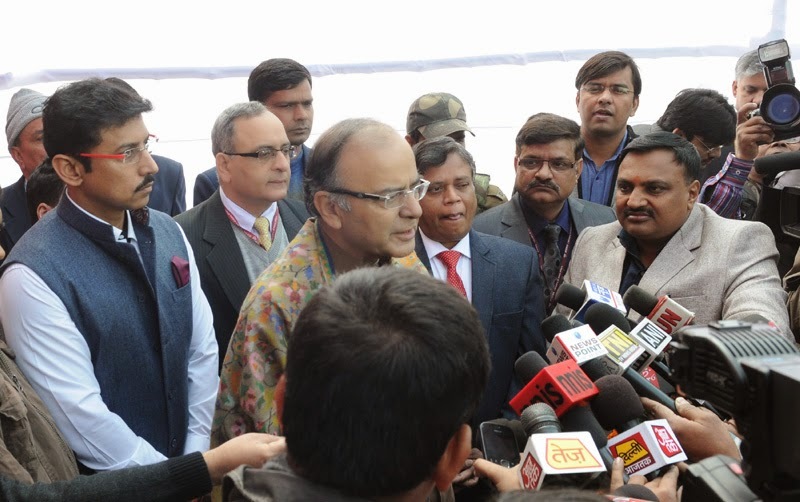 The Union Minister for Finance, Corporate Affairs and Information & Broadcasting, Shri Arun Jaitley briefing the media at the inauguration of the Multimedia Exhibition on the former Prime Minister, Shri Atal Bihari Vajpayee, in New Delhi on December 20, 2014. 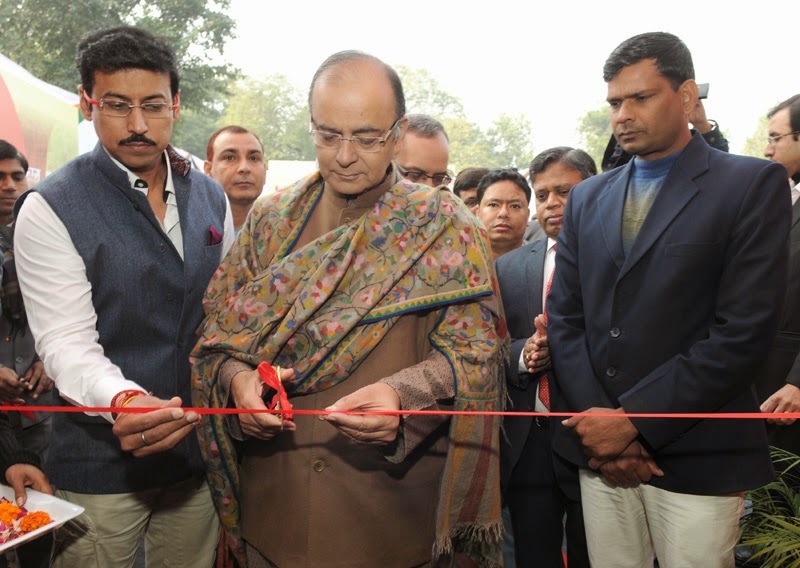 The Minister of State for Information & Broadcasting, Col. Rajyavardhan Singh Rathore and the Secretary, Ministry of Information and Broadcasting, Shri Bimal Julka are also seen. 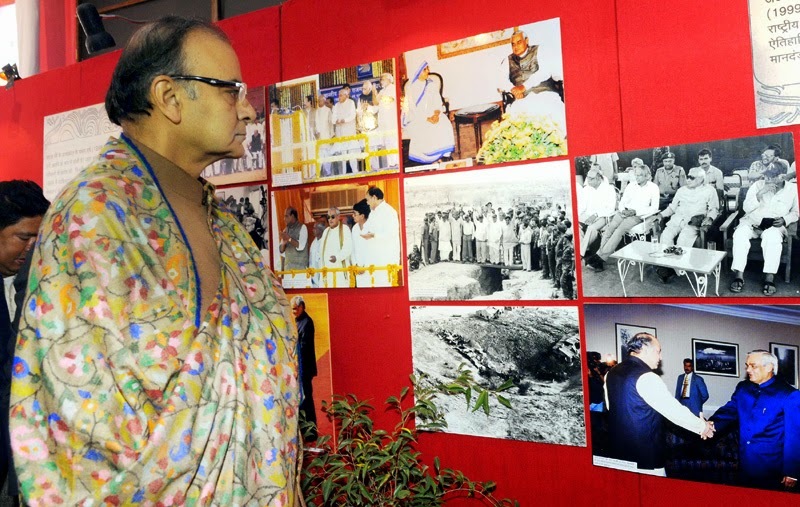 The Union Minister for Finance, Corporate Affairs and Information & Broadcasting, Shri Arun Jaitley visiting the Multimedia Exhibition on the former Prime Minister, Shri Atal Bihari Vajpayee, in New Delhi on December 20, 2014. 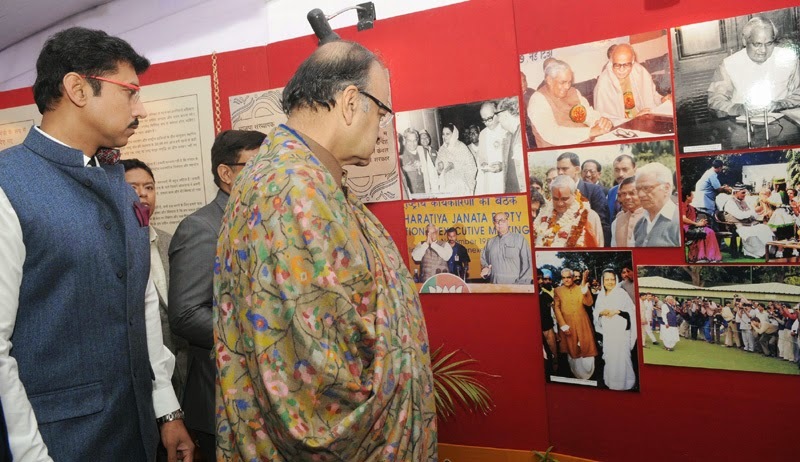 The Union Minister for Finance, Corporate Affairs and Information & Broadcasting, Shri Arun Jaitley inaugurating the Multimedia Exhibition on the former Prime Minister, Shri Atal Bihari Vajpayee, in New Delhi on December 20, 2014. 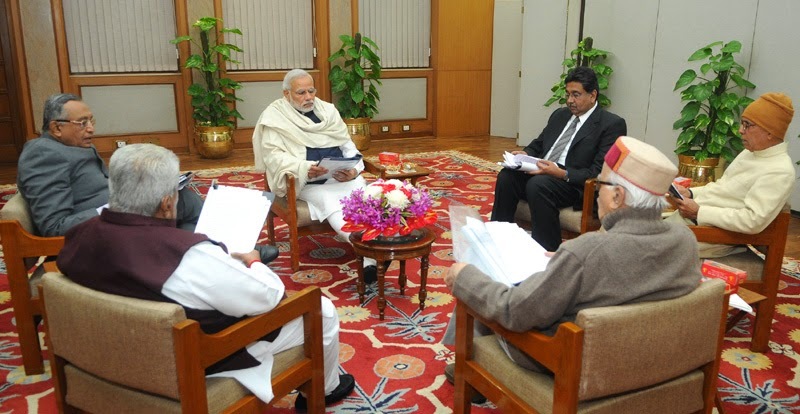 The Minister of State for Information & Broadcasting, Col. Rajyavardhan Singh Rathore is also seen.